It’s a club no one wants to be a part of; however, as many as 10 million Americans have become members: sharing a diagnosis of osteoarthritis . 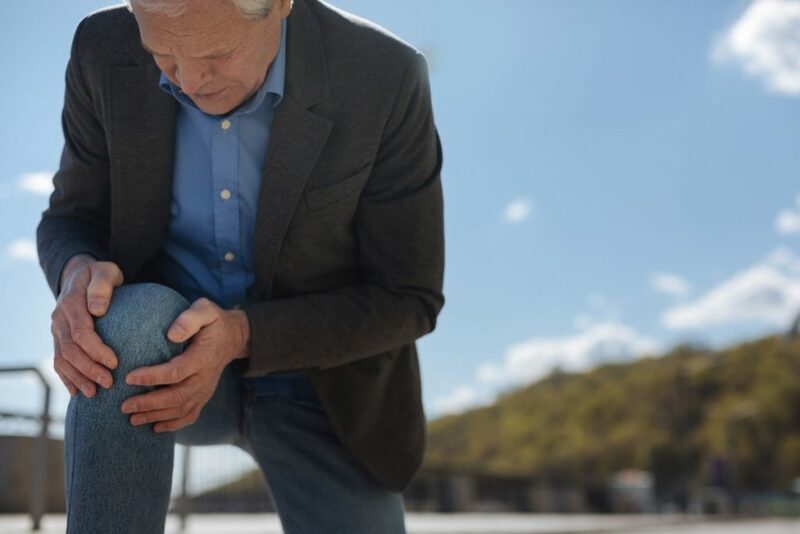 Due to the wearing away of cartilage over the years, osteoarthritis commonly impacts bigger joints, such as the knees, and may be debilitating to a senior’s quality of life. With three main recommended treatment plans – over-the-counter medications to lessen inflammation, such as ibuprofen, prescription painkillers such as tramadol, or physical therapy – a good number of people with osteoarthritis have resigned themselves to a lifetime of limping, suffering, modified activity levels, and not surprisingly, chronic osteoarthritis pain. And although knee replacement surgery could be helpful for several, not all arthritis sufferers are suitable; or, the potential risks associated with this type of invasive treatment are too great, especially for senior citizens. Now, however, an impressive new procedure has entered the arena, and provides great relief from chronic osteoarthritis pain without the risks or side effects of the other alternatives. Referred to as cooled radio frequency ablation (“Coolief”), the treatment works by “…changing the wiring of the knee…taking away the pain signal and interrupting it,” according to Dr. Amin Sandeep, a pain specialist at Rush University Medical Center. The impressive reduction in soreness, inflammation and stiffness also makes it possible for many patients to reduce their need for prescription medications and then to go back to – or begin – a more active way of life, resulting in better overall health and wellness. Similar to injections of cortisone, long-lasting but temporary respite from aches and pains is normally achieved for a duration of around six to twelve months. Necessitating only local anesthetic, the procedure is completed on an outpatient basis within as little as 40 minutes. Potential risks and recovery time are minimal; nonetheless, it’s important to bear in mind that the process will not adjust, slow, or stop the progression of osteoarthritis. But for some, quality of everyday life is greatly improved as suffering is lessened significantly. Are you or a senior loved one faced with osteoarthritis pain? A little help and support goes a long way towards enhancing quality of life for older adults with chronic issues such as osteoarthritis and various other conditions of aging, whether through helping with cleaning and washing, taking care of shopping for groceries and preparing meals, ensuring medications are taken exactly as prescribed, or just offering friendly companionship to brighten up the day. Call Responsive Home Care’s Fort Lauderdale home care team at 954-486-6440 to learn more ways that we can help! https://www.responsive-homecare.com/wp-content/uploads/2017/09/osteoarthritis-pain.jpg 800 1200 Debbie Savage, RN, BSN, President https://www.responsive-homecare.com/wp-content/uploads/2019/03/rhc-logo.png Debbie Savage, RN, BSN, President2017-09-10 10:11:262019-03-20 09:49:45Struggling with Osteoarthritis Pain? This New Technique Can Help! Feeling safe, protected and cared for is so wonderful. Mothers and fathers thrive on ensuring their children are enveloped in the comfort of knowing their needs will be satisfied, providing the safety net that allows them the self-confidence to explore the world around them. However there comes a stage in all children’s lives when the yearning for freedom exceeds the benefit of protection, and they have to discover what it means to stumble, fall and get up again on their own. These protective instincts typically trigger once more for adult children towards senior moms and dads. We would like to decrease risks for them, to ensure that they’re safe from harm. Yet at the same time, it’s all too easy to fall into a pattern of overprotectiveness if we’re not really careful, which can lead to feelings of anger and resentment on the part of the elderly parents. Research recently explored the effect of stubbornness in older adults’ relationships with their adult children. Although the elders were less inclined to rate themselves as appearing stubborn, their younger loved ones more often observed stubbornness being an issue. The important thing for adult children is in understanding their senior parents’ basis for digging in their heels to hold onto their independence and autonomy, and to stay away from quarrelling and producing a mindset of defensiveness. Clear, open and truthful communication among both parties can go a long way towards smoothing the waters and making certain every person is listened to and fully understood. So what exactly is the best way to care for our elderly family members without trying to control them? A large dosage of patience, respect and empathy can go far. Putting yourself within the older adult’s shoes and knowing the desire for autonomy lets adult children step back, as opposed to stepping in. Give the additional time an older adult needs to accomplish a task, rather than doing it for the individual. Consistently look for opportunities to show the senior you appreciate his or her suggestions and guidance. For further tips on delivering Fort Lauderdale home care that doesn’t cross the line, contact Responsive Home Care. https://www.responsive-homecare.com/wp-content/uploads/2017/08/elderly-senior-parents-alloyed-with-adult-child.jpg 429 600 Debbie Savage, RN, BSN, President https://www.responsive-homecare.com/wp-content/uploads/2019/03/rhc-logo.png Debbie Savage, RN, BSN, President2017-08-17 10:00:492019-03-20 09:47:11Fort Lauderdale Home Care Tips: Are You Caring or Controlling? September is National Preparedness Month. This is the ideal opportunity for you to evaluate your aging parent’s needs and make meaningful changes to your nhome care plans to ensure that your senior loved one stays as safe and healthy as possible throughout emergencies such as severe weather and other natural disasters. One situation that is important to prepare for is the possibility that your aging parent will need to evacuate their home prior to the storm. Evacuating helps to ensure that your parent gets out of an area that is at risk of serious damage, helping them to stay safer and more secure during the potentially dangerous situation. In very serious situations your parent’s area might be under a mandatory evacuation order. If this happens, your parent must leave their home and either go to another home, such as yours or that of another member of their care team, or to an emergency shelter. It is important that if your parent must go to an emergency shelter that they know what they should bring and what to expect. This will help them to stay safe, healthy, and secure, and avoid complications. • Emergency supplies. Having an emergency kit is an important part of preparing for any type of emergency or disaster. This kit should include several days’ worth of non-perishable food and water, as well as a first aid kit, hygiene and toiletry items, and extra clothing. Store all of these items in a secure, watertight container that is easy to transport so that your parent can bring their own supplies with them to the emergency shelter. This will not only ensure that they know they have what they need, but will also ease strain on the resources of the shelter. • Personal documents. 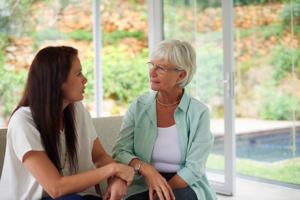 Be sure that your parent has important documents including identification, contact information for you and other members of their home care services team, insurance information, and the deed to their home. These will provide important information in the event that your parent needs to file an insurance claim or seek medical attention after evacuation. • Pets. If your aging loved one has pets, make sure that they bring them along with them. They should not leave their animals in a home that is at risk of severe damage due to the storm, or that they may not be able to return to soon. Be aware that they may not be able to bring these animals into the shelter, but that alternative arrangements might be available. 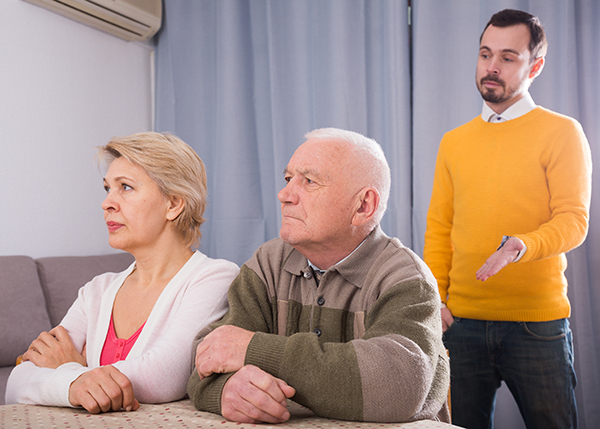 As you are putting preparations into place for your parent, it may be the ideal opportunity for you to think about starting home care services for them. 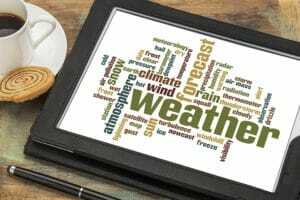 An in-home senior care services provider can be with your parent to help them be aware of impending weather emergencies, make proper preparations, and take necessary steps to stay healthy and safe throughout the situation. Knowing that they are there for your loved one can give you peace of mind that they are safer as they age in place. If you or an aging loved one are considering Home Care Services in Fort Lauderdale FL to provide companionship, compassion and motivation, please contact the caring staff at Responsive Home Care. Call today 954-486-6440. Caring for a loved one as he or she ages can be a very rewarding experience, but it isn’t without challenges. 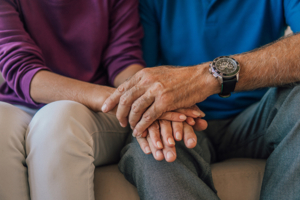 Millions of Americans have taken on the role of caregiver for an elderly parent in recent years, and while your relationship with your parent may have always been great, constant caregiving and feeling like there’s a role reversal between child and parent can be extremely stressful. It is important for all caregivers to learn how to manage their emotions for their health and the health of their loved ones. 1. Release your feelings in a positive way, even if you just need to scream into a pillow. 2. Find and talk to someone else who understands your experience. Seek out caregiver support groups in your area or online. 3. Recognize that there are things you cannot control and let those things go. Read more of Dr. Gelb’s advice for caregivers in this article from the Huffington Post. Home care Fort Lauderdale provider, Responsive Home Care, can help you with the caregiving of your senior loved one. Contact us to learn more. Everyone knows a pet can help ease loneliness for an older adult, especially if he or she is living alone or has recently suffered the loss of a loved one. But did you know that a study by the American Geriatrics Society has shown pets can help lower senior’s blood pressure and score higher in their ability to carry out normal activities of daily living? At home health care Fort Lauderdale provider, Responsive Home Care, we know how important our clients’ pets are to maintain their health and well-being. Our agency provides Pet Care exclusively for our clients when they need that extra assistance. The unconditional love of a clients’ pet can help them achieve a healthy and a happy heart! Read more about how pets improve quality of life for senior citizens. Many shelters offer discounts for seniors who want to adopt a senior pet. Be sure to ask at your local shelter.